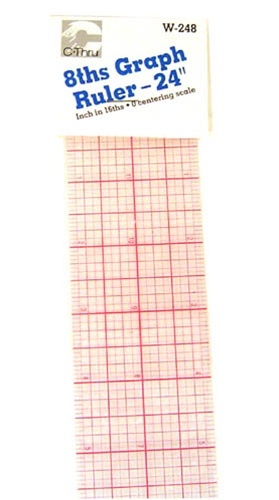 24" 8ths Graph Rulers Transparent handy 8ths graph ruler. Very light and flexible. Calibrated in 16ths to the inch with zero centering scale. Laminated for durability.